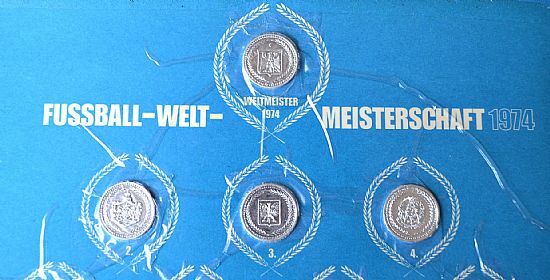 A set of German WM74 world cup coins issued by Kaufring supermarkets. 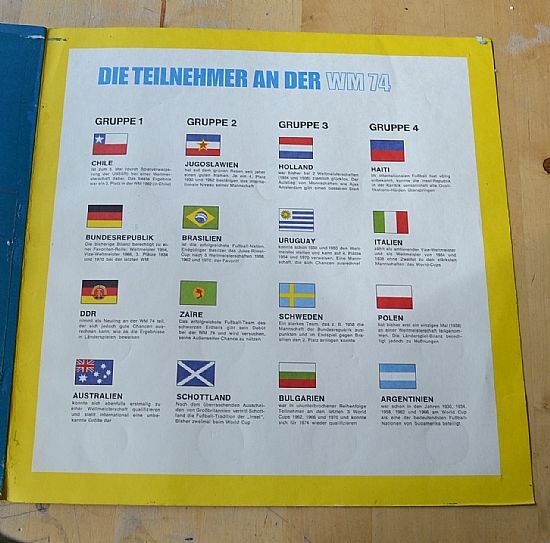 16 in total, one for each participating country. 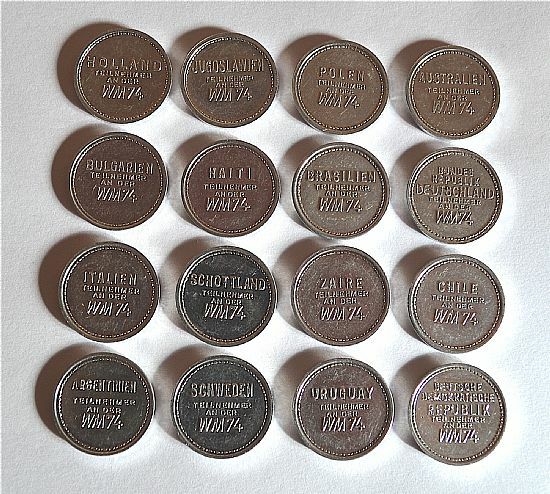 Made of a light aluminium type metal and smaller than the classic football coins from petrol companies. 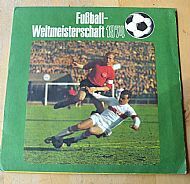 World Cup 1974 German Collectors Album for coins - Football World Cup 1974. 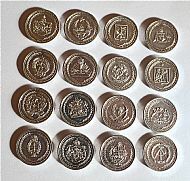 Collector album with 16 silver plated coins which show the coats of arms of the participating countries. 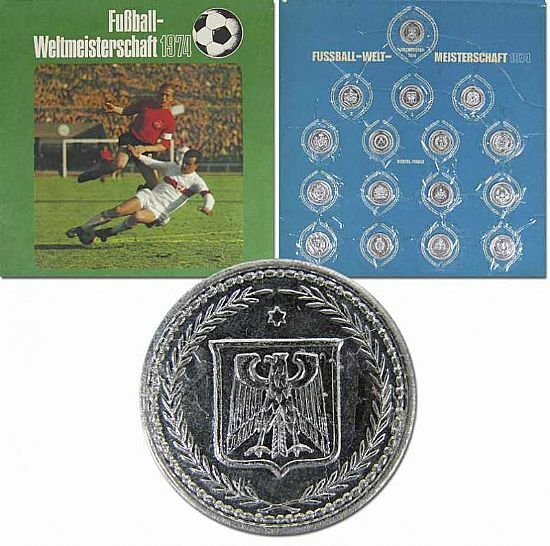 The coins could be attached according to placement in the tournament after the World Cup. You would get the coins when shopping at "Kaufring" chain in 1974. Rare album. Handwritten results. 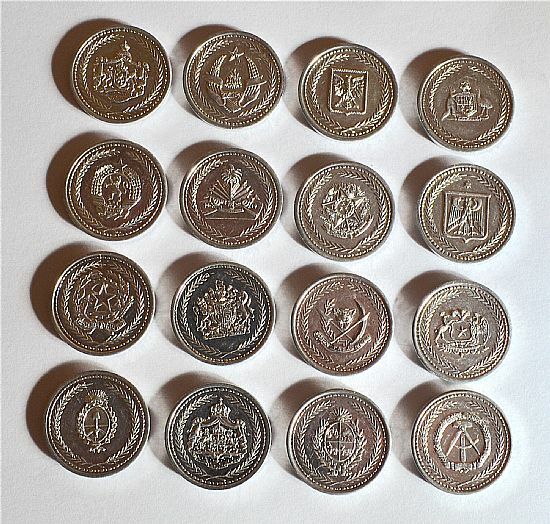 6 pages with 16 silver plated coins (each 2.5 cm in diameter), hardcover, 28.5x28.5 cm. 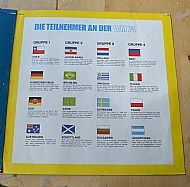 The full set issued by Kaufring supermarkets in original folder. Very rare, coins held in place by large square of clear sticky film. 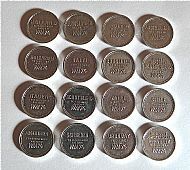 16 coins in the set. 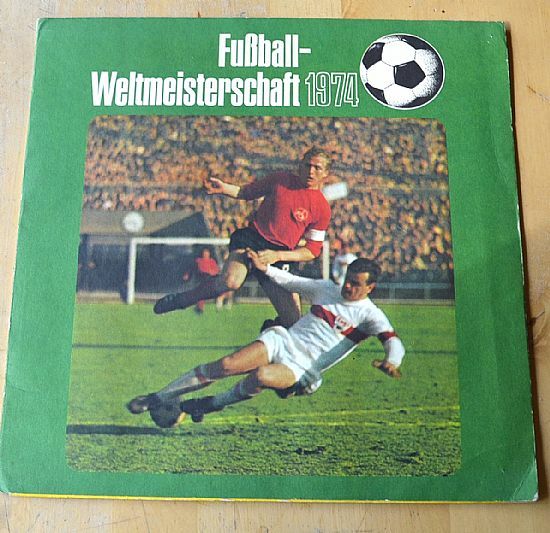 Each one has the country name and 'Teilnehmer an der WM74' on the reverse. 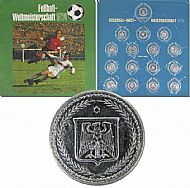 Each coin has the football club crest for each participating country. Makes a good guessing game! 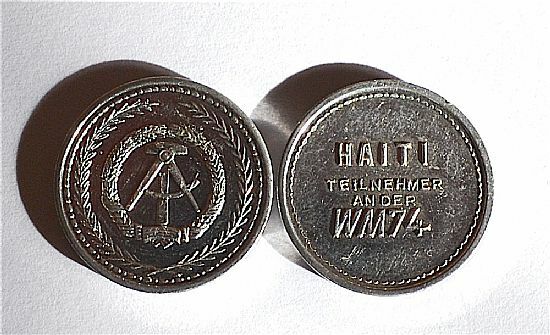 Nicely produced small coins 25mm in diameter. Just like a vinyl album cover. 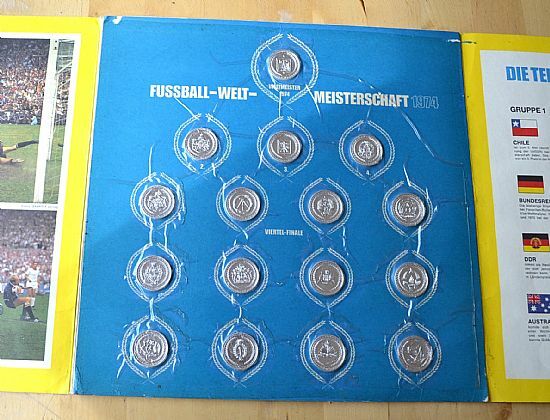 The folder allows you to place the coins according to their final position in the world cup tournament. Designers always seem to do a nice job with page layouts and graphics in coin sets.